Who took my hose? I'm not messing around. Where my hose at? Love firefighter puns? So do we. 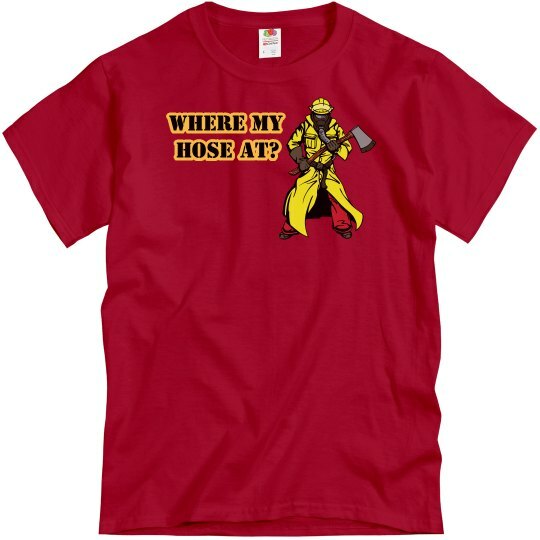 Get this funny and cool t-shirt and figure out where your hoes..errr I mean hose went. Custom Text: Where My | Hose at?